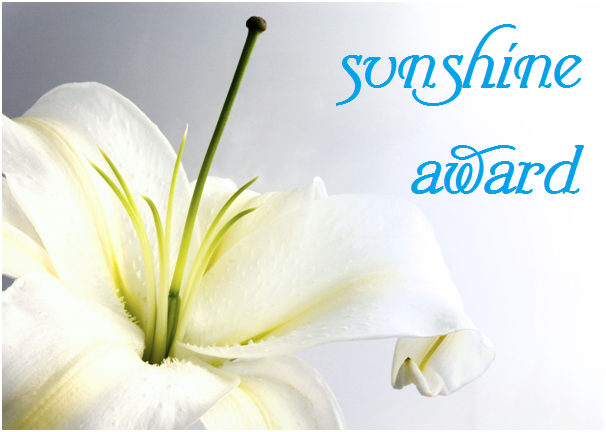 The Sunshine Award is given to those who inspire us and bring ‘sunshine’ into our lives. I was nominated for this award by the amazingly sweet Lily from Beauty With Lily. I love reading Lily’s blog posts, she is so down to earth and always has the most interesting blog posts i.e. All About Undertones and All About Toners. Definitely go check out her blog! ♥ Include award logo in or on your blog post. ♥ Link to the person who nominated you. ♥ Answer 10 questions about yourself. ♥ Nominate other bloggers to give this award to. Now that’s a silly question… I’m pretty sure everyone already knows I would buy a LUSH franchise. Haha! Ok, seriously? I would pay off the bond on our house. If you want to get technical and say that’s not really buying something, well then I would say I’ll buy a Mini Countryman car (and put away like R 30 000 for maintenance costs). Of course I have pets, I can’t imagine a life without dogs. We have three four-legged children: Charlie (aka Prince Charles, he’s a Chichuahua), Jezebelle (aka The Terrorist, she’s a Miniature Pinscher) and Daisy (aka Lazy Daisy, she’s a Chihuahua x Jack Russel). Tough, tough, tough one! I would say Tiffany from MakeupbyTiffanyD. I’ve been following her Youtube channel for almost 5 years now, so she’s the beauty guru I’ve followed for the longest period. BUT Nicole Guerrero is a VERY close second, I just love her personality. I honestly don’t have a specific type of blog post I like to write most. I like writing about all the things that inspire me, especially if it’s pretty makeup products. I love Essie’s informative blog posts (plus her interesting sense of humour). I love Annie’s health related blog posts (plus she’s so inspiring). I love Chantelle’s hot off the press blog posts, she always knows what’s coming to a store near you before most SA beauty bloggers (plus she is a seriously funny girl). I love Cassidy’s green beauty products blog posts (plus she’s a super sweet girl). And I love Andrea’s detailed blog posts (plus her photos are amazing). I would go to Paris (France) for 1 week and New York for 1 week. I would most definitely take Neal (my husband) with me! Hhhmmm, we don’t have access to NARS, theBalm, Urban Decay and Makeup Forever in South Africa unfortunately. The brand I own the most makeup from and whose products I know the best, is MAC. So, I would probably say MAC. Jeans, a pastel coloured top (the Truworths LTD range tops are my fave) & sandals. We don’t really call it ‘holidays’ here in South Africa but I’ll go with it and say CHRISTMAS! I love Christmas time, all the decorations, delicious food and gifts make my heart happy. Definitely Dexter (the last season starts soon), Homeland (starts this week) and American Horror Story (not sure when Season 3 starts in South Africa). Lily, thank you so much for nominating me. It’s been so much fun answering these questions! Congrats on being nominated! Lovely post. Haha! I wish Jezebelle had a different nickname, geez that dog is naughty! 🙂 But we love her all the same! Hhhmmm, we don’t have a combined name like you guys talk about ‘the holidays’, we just call each holiday day by their individual name i.e. Christmas, Easter etc. We also don’t celebrate Thanksgiving (although I wish we did!). Thank you so much for the nomination! Such an honour. I will get on this asap! Congratulations, you deserve the award. I cannot wait in the mornings to get your blog. I am also a big fan of MAC products, currently trying their Tinted Moisterizer. I need to get some lip glosses for the summer and new face cream….. so many products out there. How do we choose?? Have a lovely day! Thank you so much for your kind words, Charlene! It means so much to me! How is the tinted moisturiser? Does it provide good coverage? You are my sunshine child and I’m proud of you! And now you are bringing sunshine into the lives of others! Congratulations, you deserve it! Oh my! Congratulations, your blogs are so enjoyable and your instagrams the best!